Driver fatigue is a serious concern for any fleet operator. For years, the number of fatigue-related accidents have been directly linked to the number of hours spent driving. HOS is a state-of-the-art technology component of our Fleet Management Solutions. This sophisticated offering covers the entire operational business process of driver fatigue management, namely the assignment of driving hours rules, measurement of driver activities, intervention when necessary, and reporting for audit and continuous improvement purposes. 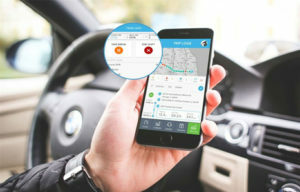 Built for customers who want to manage driving-related fatigue, HOS facilitates the recording of driving and “not driving” states, without any driver input. This data from the vehicle is then made available to managers via our secure premium platform for alerting, viewing and auditing. HOS not only simplifies adherence to HOS rules, but keeps drivers safe and productive in the process. Combined with improved business processes, the solution can deliver real business and safety outcomes for organizations across a diverse range of industries – in both regulated and non-regulated environments. If you’ve ever had to contend with manual journey management planning, then you’ll know how tedious and error-prone it can be. Our Journey Management offers an easy-to-use electronic alternative to paper-based systems that ensures all risks relating to journeys are readily visible to decision makers when it matters most. Our Journey Management suits fleet operators across diverse industries, and is especially ideal for those with large fleets of vehicles that travel long distances and carry passengers or cargo. Not only does our Journey Management help deal with the major issue of risk exposure, but it improves safety as well as the quality of customer service, while ensuring compliance. This is available with our Fleet Management Solution, conveniently replacing the need for fleet operators to develop their own customized solution. 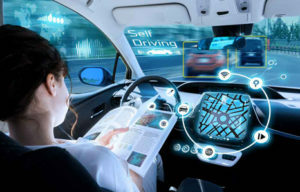 It is also the first journey risk management system to integrate with a premium fleet management solution, making it a unique and valuable offering. The solution comprises a wholly online process incorporating journey requests, journey approvals and journey monitoring. During the journey request phase, the driver, environment and asset in question can be risk-assessed, after which the journey is either approved or not. If and when a journey is approved, then it goes on to be automatically monitored in real-time. While a journey is underway and being monitored, operations staff are immediately notified of deviations using exception based monitoring. For example, if a driver deviates from a route plan, automated alerts make non-compliant actions visible so that an intervention can take place. Our reporting and analytics tools also make it possible to identify repeat contributors to high-risk journeys and identify trends that can be used to optimize operations. Our JM allows each journey to be challenged, unnecessary journeys to be eliminated, and informed risk-based decisions to be taken for journeys that are needed. As a result: The safety of people, vehicles and cargo is prioritized, reputational risk is lowered, business efficiency is improved, and operating costs are reduced. The success of an advanced fleet management solution is often determined by the benefits customers can gain by the data provided by their fleet management solutions. 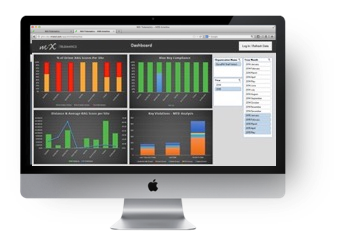 This tool provides better access to customer data, and presents in in a very intuitive and compelling interface that will manage drivers more efficiently and effectively. This delivers truly more value to our customers. The advanced visualization techniques and user-friendly capabilities to summarize, arrange and format reports. Customers can easily drill down and drill through to different level of reporting as well as schedule reports for electronic delivery in a wide range of format. It allows you to quickly analyze your vehicle trips and events over an extended period of time. The Driver Behavior App is a comprehensive driver engagement tool, geared to equip drivers with all they need to assess and improve their professional performance. At any given time, a driver can simply log in to App via the web or a mobile device to access his driving scores. Daily and weekly scores as well as six-month trends are displayed in an engaging format, and drivers can also drill down and view events on a map. The Driver Behavior App integrates Standard and RAG scoring models and is available for customers who have an existing IVMS solution installed. In the not-too-distant future, this App will have added functionality that incorporates aspects like fatigue management and driver training. Driver Behavior App features a high-level snapshot of scores, ranking, and related events. Daily and weekly score analyses are available as well as six-month trends. Drivers see how they rank compared to site and organization averages. Details are available on recorded driving events, such as speeding or harsh braking, and drivers can view events on a map. Scores and details are available for multiple vehicles driven by a particular driver. Performance and fuel consumption variances are also available. Driver login activity reports are available for supervisors to monitor levels of driver engagement. The Driver Behavior App supports the iOS and Android operating platforms. This is an innovative task management application for effective communication and engagement with mobile fieldworkers. 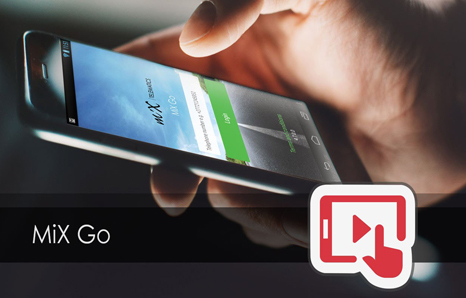 The MiX Go combines all the benefits of navigation, tracking and template-driven e-forms. Managers can create tasks for their employees via our web platform, and keep an eye on the progress of these tasks from start to finish. Employees receive these tasks via their mobile devices and, in turn, can input job details and customer information, and report problems while they’re out and about. The productivity, customer service and cost benefits are quick to realize, providing a major competitive advantage for our customers.